PepsiCo will buy the Israel-based DIY soda company SodaStream in a deal worth $3.2 billion. The move is widely seen as an effort by Pepsi to prop up its catalog of “healthy” food and drink options as it continues to wage battle against longtime rival Coca-Cola. Both PepsiCo and Coca-Cola have invested heavily in both healthier and eco-friendly alternatives over the past decade. The deal between Pepsi and Sodastream still needs to clear cursory regulatory hurdles, but PepsiCo plans to pay $144 cash per SodaStream share — a 32 percent premium over SodaStream’s estimated stock value before the deal. According to a press release, the deal has already been approved by the boards of both companies. “I am excited our team will have access to PepsiCo’s vast capabilities and resources to take us to the next level. This is great news for our consumers, employees and retail partners worldwide,” he added. Sodastream offers flavor packs that allow consumers to add their own mixes to carbonated water. But many consumers only buy the SodaStream machines to make fizzy water without adding any flavors. 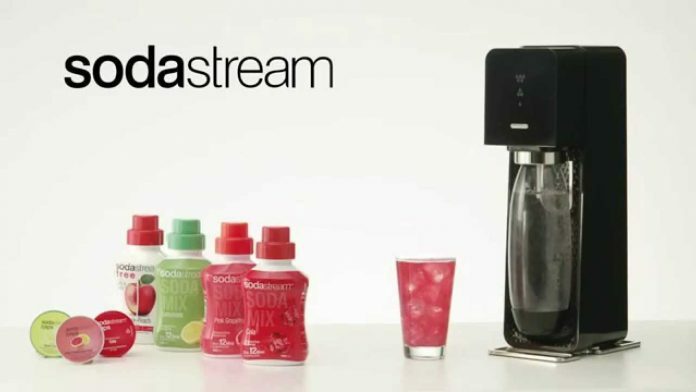 That hasn’t stopped SodaStream from growing tremendously, at least on paper. The company has seen its share price skyrocket since it went public in 2010 and has had a really strong couple of years, jumping 85 percent in the past year alone. If everything goes smoothly, the deal is expected to close around January of 2019.